This Thursday night at 8:00 Mountain Time on Vertically Striped Radio, we will do our second episode of "The Vertically Striped Interview." 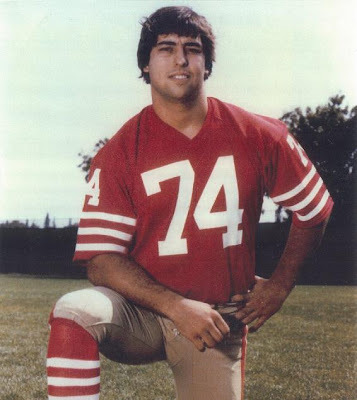 My guest will be former University of Colorado Buffalo and San Francisco 49er George Visger. 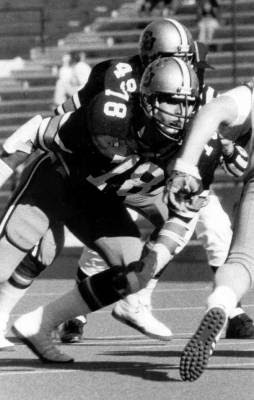 George played on the defensive line for the University of Colorado football team in the late 70’s and went on to briefly play with the San Francisco 49ers, his career was cut short due to traumatic brain injuries, and he has battled through this disability to become a successful businessman and motivational speaker. George has had 9 brain surgeries due to his football injuries, and has recently spoken with Dr. Omalu a renowned brain scientist who has been in the news due to his research into the connection between playing NFL football and brain trauma with Alzheimer like symptoms. Dr. Omalu has asked George to sit on his board. George is going to join us to talk about his playing days as well as his injuries, his ongoing recovery and overcoming difficulties to find success in life. We will also discuss the physical and moral implications of brain injuries to football players. I am very excited to spend some time Thursday night talking with George, and this should be a fascinating show.